My husband, also a surgeon, was recently discussing donor-nephrectomy with a healthy 65 year-old woman in his transplant clinic. He told her the 30-day survival for this operation was excellent. She was shocked he would quote such metrics, “I don’t want to live for just 30 days!” Yet for years, we in surgery have judged our successes by the number of patients who don’t die within 30 days of surgery. I know it is easy to find examples of surgeons behaving badly over a postoperative patient whose death seems to threaten his “numbers,” but as a surgeon who has been there I can tell you that it is viscerally painful to watch a patient you operated on succumb to postoperative complications. Deep notions of error and responsibility are ingrained in our culture and are reinforced in many ways including M&M conferences and NSQIP (National Safety Quality Improvement Program) reports. While I’m all for improving safety and quality, I shudder to think about the consequences of 30-day mortality reporting for our older patients when increasingly our successes and failures are measured (and reported) by who is alive and who is dead. Here’s an example of why I am worried. One newer measure of safety in surgery is “failure to rescue.” (FTR) Studies show complication rates for major operations are actually pretty constant across hospitals with varying levels of quality however; mortality differences between low and high performers come from the ability to “rescue” patients with postoperative complications, i.e. mortality differences derive from whether the patient is able to survive the complication. This measure morphed precariously in a (very well done) study that matched the health status of surgical patients with DNR orders to those without and demonstrated a substantially higher postoperative mortality for patients with DNR orders. The authors called this “failure to pursue rescue.” Sheesh, if you want to get a surgeon to do something, tell him that not doing it would constitute failure – this is the language we speak! If anything, the mortality difference demonstrates a success in honoring patient preferences but the characterization of death as the worst possible outcome doesn’t recognize this important difference. The National Quality Forum (NQF) is proposing 30-day risk adjusted mortality following CABG (heart bypass surgery) as a quality metric. This measure is up for appeal until December 12. While the Society of Thoracic Surgeons has used this metric for years for their internal database, formalization of this metric for public reporting threatens to exacerbate its unintended consequences. I recently ran a “town hall meeting” at the American College of Surgeons annual Clinical Congress about this issue which involved some pretty treacherous terrain: surgeons were clear that mortality measures are increasingly influencing both their pre and postoperative surgical decisions. The 30-day metric is a game-able metric that harms patients and families and the surgeon patient relationship. It also fails to capture important safety information such as the patient who has a straight-forward postoperative course is scored equivalently to one who has a prolonged ICU stay and is transferred to palliative care on postoperative day 31. I hope the National Quality Forum will reconsider their decision and focus on measures that are more aligned with patient-reported goals. Wonderful post and thoughts as always. The challenge is being flexible in our communication with patients that reflects patient thought process instead of research process. It takes a lot of effort to translate research outcomes into outcomes that a in patient oriented language and thought. That is an art. Looking forward to hearing you when you come to Penn in January! Wonderful thoughts. Your position as an insider who truly understands all the pressures makes you an ideal person to change the culture. And that is what it will take in my opinion - culture change. A culture myopically focused solely on survival not only positions itself to do significant harm to a patient and family by violating their right to themselves. While we all want technically sound surgeons, we also want a health care system that respects us as free persons as well. Maybe we need a composite measure that combines technical competence with patient-centeredness. Applause to Dr. Schwarze for this thoughtful post. As a fellow surgeon, I have seconded her appeal to the NQF to reconsider 30-day mortality for CABG as a quality metric due to the potential unintended consequences of it use. While operative mortality is important, the overemphasis of 30-day outcomes may alter surgeons’ treatment decisions in ways that are not in the best interest of patients. Despite being “risk-adjusted,” this metric cannot account for the preop wishes of patients who desire surgery, but who place reasonable limitations on their postop care. 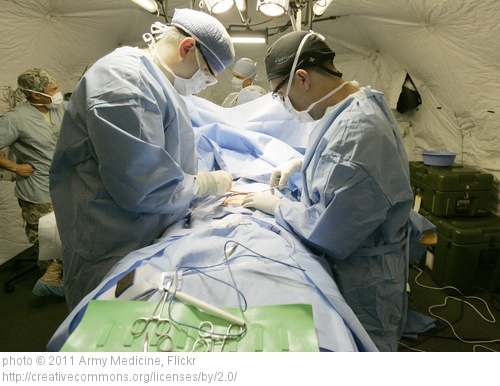 This creates a disincentive for surgeons to offer surgery, even when it offers potential benefits. In addition, when patients wish to limit ongoing heroic care required to sustain life for 30 postop days, this metric puts surgeons in a double bind between honoring patients’ preferences and optimizing their reportable “quality” outcomes. In the interest of true quality, the NQF should champion the efforts of surgeons to act as patient advocates, as opposed to placing ethical barriers to patient-centered behavior. Kudos Gretchen for putting it on the table. Normal people care more about being alive whole in one year living at home than they do about surviving 30 days. With that said, we have to acknowledge the perverse incentive surgeons have to operate on frail patients near death. What do you lose? What do you gain? ?